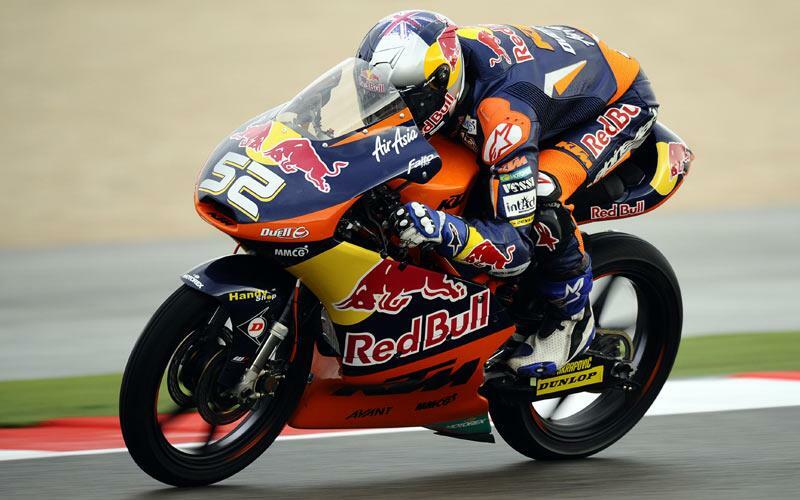 Danny Kent is poised to add his name to a long line of British talent that’s raced for the French-based Tech 3 squad in 2013. The 18-year-old is close to finalising a move to Herve Poncharal’s Tech 3 Racing Moto2 squad as replacement for Bradley Smith. It will mean 75% of Poncharal’s four rider line-up in Moto2 and MotoGP will be British, with Cal Crutchlow and Smith already signed to ride factory-backed Yamaha YZR-M1 machines next season in the premier class. Red Bull KTM Moto3 rider Kent is on a Tech 3 shortlist of three, with Le Mans Moto3 winner Luis Rossi expected to get the nod over Smith’s current team-mate Xavier Simeon. Kent told MCN: “It is looking good for Moto2 next year. I am in talks with a few teams including Tech 3 but it looks like I will be going to Moto2. "Size and weight is a big thing. I get quite cramped up on the Moto3 bike and obviously when I move my body it moves the bike and doesn’t make it stable in the corners. Poncharal told MCN: “It is no secret but I have a big interest in Danny Kent. He is somebody I have been following for two years and I met Danny in Brno and I was very impressed with him. This gave me even more will to work with him in the future. "I think he is very fast and a serious option for us. Nothing is 100% clear but there are three leading candidates. I have been talking and we are quite close to signing with Louis Rossi. He has made incredible progress this year.